Baguettes, foie gras, caviar, chocolate, cheese and wine. When I think of France, it is the traditions of food and cooking that come to mind. 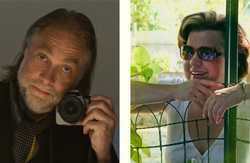 And now, a couple from Canada, Diane Shaskin and Mark Craft, who have been exploring Paris and Provence for a dozen years, have created week-long culinary tours in each region. On their intimate culinary adventures travelers meet and connect with an array of passionate artisans: cheese makers, chefs, wine growers and specialty food producers. Diane and Mark share their love of the food and culture of France to create an authentic culinary experience for small groups. The Paris tours begin with a champagne welcome and a cooking class on the left bank, where French bistro dishes are made and enjoyed in the dining room overlooking the Seine. And on every day the small group ventures forth from the boutique hotel to go behind the scenes: to bake bread with a Parisian boulanger, taste champagnes with caviar at a 100-year-old caviar restaurant, and learn secrets of French cuisine at a private cooking class at the Ritz. 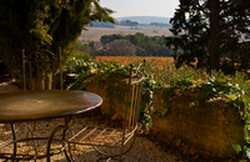 The Provence tours are headquartered at a charming villa close to the wine village of Beaumes-de-Venise. The small group enjoys regional food and wines, and explores the Provençal countryside: visiting local markets and hilltop villages, picnicking in the vineyards of the Côtes-du-Rhône, gathering poolside for a wine and cheese tasting, and enjoying a three course meal at a Michelin-starred bistro. Each tour is limited to eight travelers. Diane and Mark are the founders of Planet Organic Markets (think Whole Foods of Canada), where they introduced a generation of Canadians to the joys of organic food. For the past dozen years, they have been passionate travelers to Paris and Provence, where they have been exploring the culinary world of France. Their book, "How to Cook Bouillabaisse in 37 Easy Steps: Culinary Adventures in Paris and Provence," will be available on Amazon this summer. Unpack and relax - the focus is on food, wine and fun. 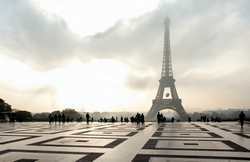 Travelers are able to enjoy the beauty of Paris or Provence, knowing that all the details have been taken care of. There is also plenty of free time to relax at the villa or hotel, take a walk, shop or explore the sights. There are weekly tours scheduled for summer and fall 2011. The 2012 schedule will be available soon. To find out more about the tours, itineraries, accommodations and schedules visit their website Paris to Provence.